A table expressing its function as a corner table and animating itself through form and detail. A clear seperation existes in detailing between the frame as structure and the top as a functional surface. 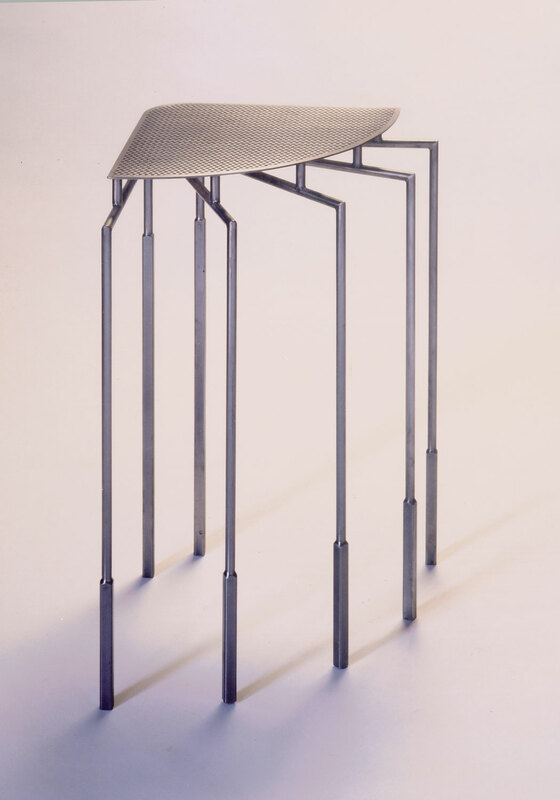 Legs are detailed by lathing tube from round to square denoting a horizon line that is at different levels on its hierachy of function.